The American Health Council appointed Nicholas Avitabile, MD to its Board of Physicians for his outstanding contributions to the medical field. An endocrinologist at Crystal Run Healthcare in Middletown, N.Y., Dr. Avitabile treats patients suffering from an array of ailments including diabetes, thyroid disorders, osteoporosis and other endocrine conditions and disorders in an outpatient setting. 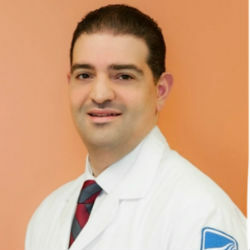 While he has held his current role for nearly six years, Dr. Avitabile has expanded his skills and expertise in endocrinology, diabetes, thyroid, adrenal and pituitary disorders and patient care to ensure that he delivers optimal care to each patient he treats. When he was a child, Dr. Avitabile’s grandfather was diagnosed with diabetes and as a result, his illness frequently sent him to the hospital. Dr. Avitabile would often visit him — his visits quickly sparked an interest and deep curiosity in medicine. Throughout his adolescence, he excelled in the sciences and his curiosity in the medical field grew. His nurturing and helpful demeanor, coupled with his passion for medicine, led him to pursue a career as a physician. After earning a bachelor’s degree from Ithaca College, he enrolled at the Ross University School of Medicine and earned a medical degree in 2007. He then completed a residency in internal medicine at Winthrop-University Hospital in Mineola, N.Y., and an endocrinology fellowship at Tulane University School of Medicine in New Orleans. The complexity and interdisciplinary nature of endocrinology intrigued Dr. Avitabile, since it involves an interdisciplinary study of a diversity of organ systems which requires knowledge and understanding across a broad spectrum of medical training. After completing a rigorous academic training and practice, Dr. Avitabile immediately began practicing at Crystal Run Healthcare. He connects with patients through his empathetic and caring demeanor and finds the rewards afforded by long-term, personalized and trusting interactions with patients incredibly fulfilling. In addition to treating patients, he mentors and educates medical students as well as conducts research. He has authored several peer-reviewed articles and participated in multiple clinical research trials alongside physicians. Among his many accomplishments, he is honored to have served as the Chief Fellow at Tulane University School of Medicine and is proud to have been named a 2013 Crystal Run Healthcare Top Ten Provider for Patient Experience. To continue to evolve in his field, he is a member of several professional associations, including the American Diabetes Association, the American Association of Clinical Endocrinologists and the Endocrine Society. He also contributes to charitable organizations, including the March of Dimes and Vietnam Veterans of America. He plans to continue to excel his career by expanding his practice, as well as become more involved with clinical research, clinical trials and evidence-based medicine. Crystal Run Healthcare is one of the fastest growing multi-specialty group practices in the country. They have over 400 exceptional physicians in nearly 50 medical specialties with multiple practice locations focused on the healthcare needs of the Hudson Valley and lower Catskill region. The mission of Crystal Run Healthcare is to improve the quality and availability of, and satisfaction with, healthcare services in the communities they serve. Their vision is to develop a branded, premier network of integrated practice sites, providing consumer-focused” quality healthcare.